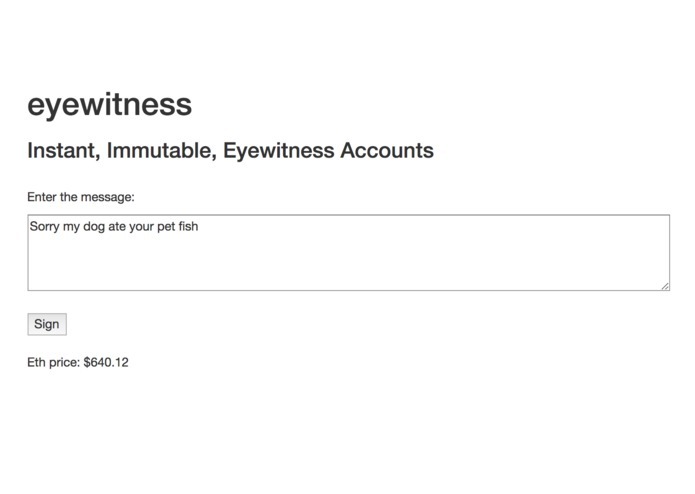 Ethereum smart contract that holds a written record of some user-submitted event. It also has a list of everyone who has sent a transaction to the contract, signifying the sender's signature on the record. 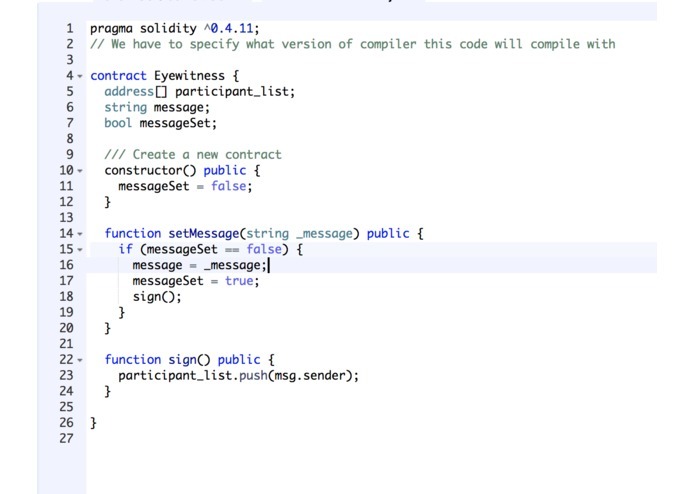 The ethereum contract is written in solidity an deployed on the Ethereum Ropsten Testnet. The interface for interacting with it is an HTML page. Deploying the smart contract and writing a client that can connect to the network and send data to the contract. Expand the capability and make it easier to use. Make it operate as a legally valid interaction/signature and re-program it to follow necessary legislation. Get people to use so they can save time and money on court cases and insurance and stuff.